Princess Diana was reportedly at her wit’s end when she decided to put her trust in a British journalist to tell her heart-wrenching story that involved a reported secret battle with bulimia, suicide attempts and a husband who couldn’t give up his mistress. 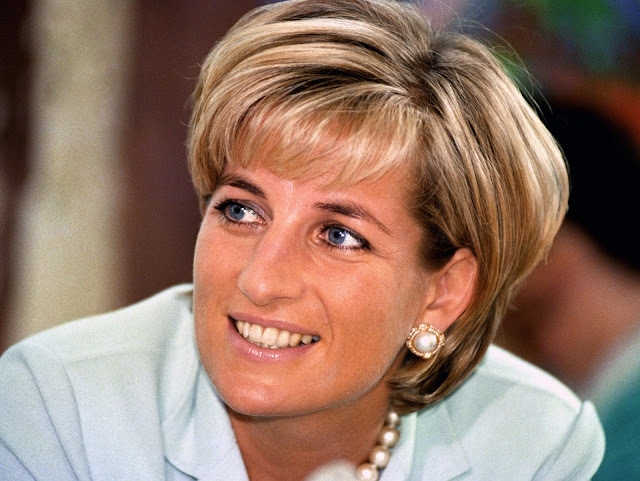 Andrew Morton penned the 1992 biography “Diana: Her Story,” which was based on the secretly recorded conversations between the princess and her friend, James Colthurst, before her divorce from Prince Charles in 1996. And even 20 years later, after her death at 36 in a 1997 car crash in Paris, Morton still wonders why she chose him. Morton recalled his experience in TLC’s upcoming documentary “Princess Diana: Tragedy or Treason?” It is one of several specials airing to coincide with August 31, the date of Diana’s passing. He explained questions for the royal were written out and then given to Colthurst, who reportedly passed them on to Diana. She would then record her responses and the tapes were used to help Morton write his book. Even before Diana married Prince Charles in a televised wedding that attracted about 750 million viewers worldwide in 1981, she long suspected he was having an ongoing affair with his ex-girlfriend Camilla Parker Bowles, Morton said. When it came to Charles loving Diana, Morton seemed unsure. Morton added Diana quietly endured the collapsing marriage and constant attempts to fit in with the royal family because she was struggling with an eating disorder, as well as the pressures that came with a high-profile role, where every public engagement was scrutinized by the press. Somehow, he claimed, she continued to hope things would get better with time. There was also one memory in Morton’s book that he insisted left her in tears, which hinted she was also suffering from depression. “It was a chapter where she was talking about what she called the ‘dark ages’ and how worthless she felt,” he explained. However, Diana found a sense of happiness in her marriage with the birth of her two sons. The former couple welcomed Prince William in 1982, followed by Prince Harry in 1984. Morton claimed that while Diana was pregnant with Harry, she and Charles experienced an intimate connection, one that involved him reportedly writing love notes to his wife. But after Harry was born, the relationship soured until they finally divorced. But even while Diana coped with the end of her marriage, she relied on her sons for support. The sons would tragically lose their mother when William was 15 and Harry 12. TLC’s documentary explores the many conspiracy theories of what really caused Diana’s sudden death, but Morton said the explanation is a simple one.